Incentive qualifications and amounts are subject to change or termination at any time. Incentives offered by Idaho Power Company (Idaho Power) in the Heating and Cooling Efficiency Program (Program) will be processed on a first-come, first-served basis. Incentive qualifications are found on the Program’s incentive applications and worksheets. Note: heat pump and duct sealing incentives must be performed by an authorized contractor (Participating Contractor). Find Participating Contractors and program information. Program continuation, eligibility requirements and terms and conditions apply. Residential customers (Customer) of Idaho Power in Idaho and Oregon may qualify, as well as property owners and managers of rental properties served by Idaho Power. All equipment/materials must be new and purchased and installed prior to submitting incentive paperwork. Application and worksheet submittals must include all information requested. Failure to provide this information may result in the delay or denial of the incentive. Idaho Power reserves the right to conduct random on-site inspections to verify information provided on the application. Incentive paperwork must be submitted within 90 days after project completion. Incentive amount not to exceed the price paid for the equipment and installation. Idaho Power issues incentives in the form of checks and not utility bill credits. Idaho Power is not responsible if Participating Contractor or Licensed Contractor, who provides and installs the equipment, provides inaccurate information about the amount and/or conditions of the actual incentive. Idaho Power will not pay incentives for equipment that is mislabeled or misrepresented regarding incentive qualifications. Customer receiving incentives under the Program may not receive incentives for the same equipment under another Idaho Power program. Incentive amount not to exceed the price paid for the equipment and installation. Customer is responsible for complying with all applicable codes and regulations. Payment of any incentive by Idaho Power does not guarantee the performance of qualifying measures and does not guarantee that the qualifying efficiency measures will deliver any specified amount of energy or cost savings. Customer shall independently evaluate any information related to the qualifying measure. Neither Idaho Power, its parent company, affiliates, subsidiaries, directors, officers, employees, agents, representatives, successors and assigns, nor its contractors make any warranty, expressed or implied, or assume any liability or responsibility for the accuracy, completeness or usefulness of any information, estimated savings, benefits, products or processes, or service by trade name, trademark, manufacturer, or otherwise does not necessarily constitute or imply its endorsement, recommendation, or favoring by Idaho Power, its parent company, affiliates, subsidiaries, officers, employees, or its contractors. Idaho Power makes no representation of warranty, and assumes no liability with respect to the quality, safety, performance, or other aspect of any design, system or appliance installed pursuant to the Program, and expressly disclaims any such representation, warranty or liability. Customer agrees to indemnify, defend, reimburse and hold harmless Idaho Power its parent company, affiliates, subsidiaries, directors, officers, employees, agents, representatives, successors and assigns of each, from, for and against any claims, demands, losses, damages, expense, and liabilities of any kind incurred by third parties arising out of, or relating to any measures installed. Go back to Heating and Cooling Efficiency Program home page for additional requirements. Qualifying existing home systems include air-source heat pump, electric forced air, oil or propane forced air, electric baseboard, electric ceiling cable, or electric wall units. There is a maximum of two incentives for two systems per home. Qualifying homes include single-family built on-site, manufactured, duplex, triplex, and fourplex homes. They can be a primary residence, vacation home, or rental. If new construction or if the home is existing and the system being replaced is oil or propane forced-air furnace, the home qualifies only if natural gas is not available. If an existing system is being replaced and is electric forced air, any supplemental heat in the new heat pump must be electric. Qualifying existing home systems include electric baseboard, electric ceiling cable, or electric wall units. There is a maximum of one incentive per home. Qualifying homes include single-family built on-site, manufactured, duplex, triplex, and fourplex homes. They can be a primary residence, vacation home, or rental. Qualifying existing home systems include air source heat pump, electric forced air, oil or propane forced air, electric baseboard, electric ceiling cable, or electric wall units. There is a maximum of one incentive per home. Qualifying homes include single-family built on-site, manufactured, duplex, triplex, and fourplex homes. They can be a primary residence, vacation home, or rental. If new construction or if the home is existing and the system being replaced is oil or propane forced air furnace, home qualifies only if natural gas is not available. If existing system being replaced is electric forced air, any supplemental heat in the new heat pump must be electric. The minimum airflow rating is 2,500 cubic feet per minute (CFM). There is a maximum of one incentive per home. Home must be single-family built on-site, multi unit building with 4 or fewer units, or a manufactured home. It can be a primary residence, vacation home or rental. There is a maximum of one incentive per home. Homes must have electric forced-air heat (with or without central air conditioning) or a heat pump. Homes must be single-family and built on-site. Qualifying homes include primary residences, vacation homes and rentals. There is a maximum of one incentive per home. 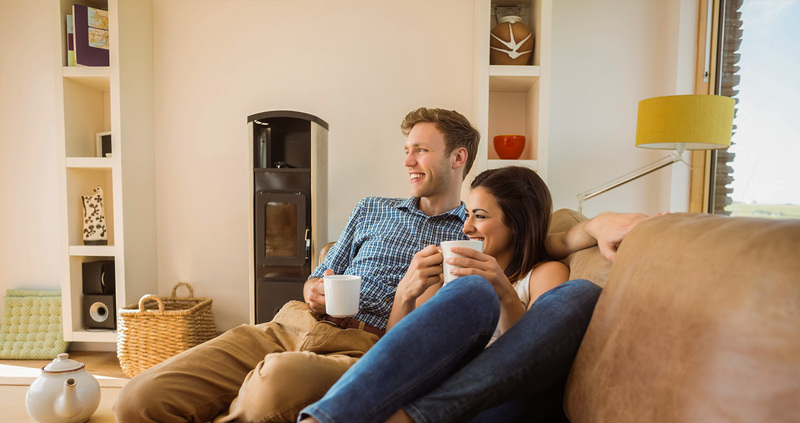 Qualifying homes include homes with central air conditioning, zonal cooling or a heat pump. They must be single-family built on-site and can be a primary residence, vacation home or rental. There is a maximum of one incentive per home. Qualifying heating systems (with or without central air conditioning) include electric resistance forced air heat, and oil or propane or natural gas forced-air heat. Heat pumps also qualify. Home must be single-family built on-site, multi unit building with 4 or fewer units, or a manufactured home. It can be a primary residence, vacation home or rental. There is a maximum of one incentive per home. Homes must have electric forced air heat (with or without central air conditioning) or a heat pump. Homes must be single-family built on-site. Qualifying homes include primary residence, vacation homes and rentals. Existing homes must be replacing an existing electric storage water heater. There is a maximum of one incentive per home. Qualifying homes must be single-family built on site, manufactured, duplex, triplex or fourplex. They can be primary residence, vacation home or rental.